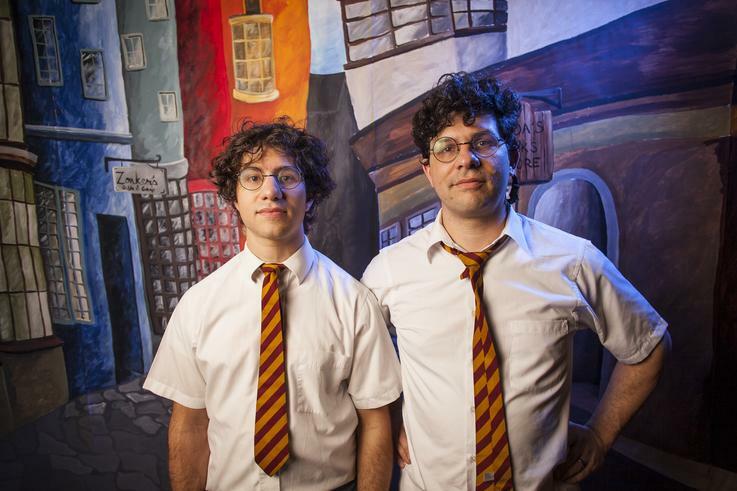 Since 2002, brothers Joe and Paul DeGeorge (Harry Potter, Year 7 and Year 4 respectively) have released three full length albums and played over 800 shows in libraries, rock clubs, art spaces, bookstores, basements, backyards, and pizza places all over the world. Their high-energy live show has been legend for over a decade since Pitchfork placed the band in their Best Live Shows of 2005 list noting, "the greatest rock and roll tour of the year took place this past summer in public libraries across America… The Decemberists wish they could lit-rock like this.” They are hailed as the founders of wizard rock, a sub-genre of music boasting nearly 1000 bands playing songs about the Harry Potter books. In 2005, they co-founded the Harry Potter Alliance, a non-profit organization that has pioneered fan activism, and the band was profiled in the 2008 documentary, We Are Wizards. They also appear on a Trivial Pursuit card in Sweden.